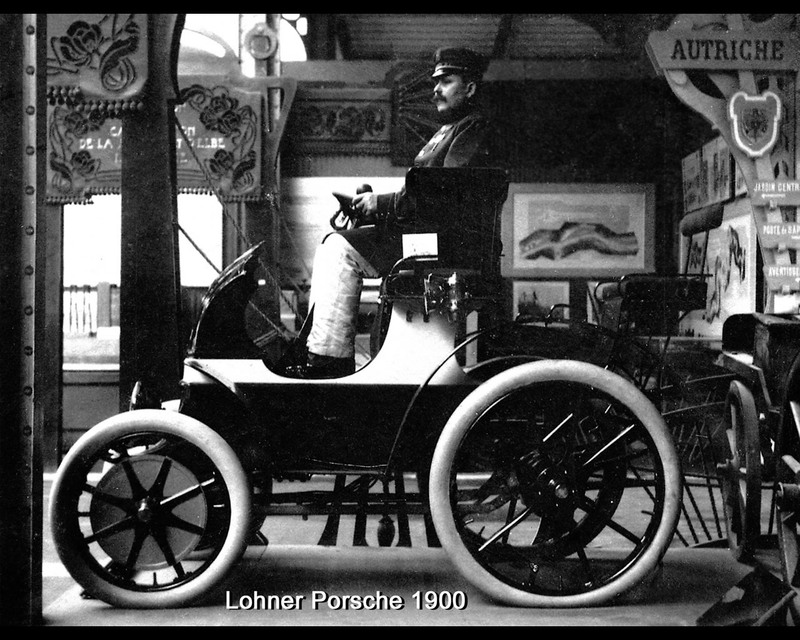 When the World Exhibition in Paris opened to the public on April 14th 1900, car enthusiasts found that the outstanding new invention was an electric vehicle - the Lohner-Porsche. Its front wheels were driven by what were known as wheel hub motors, which Ferdinand Porsche - who was 25 years old at the time - had developed as head engineer of the car company "k.u.k. Hofwagenfabrik Jakob Lohner & Co." in Vienna-Florisdorf. Porsche as a Company will only appear 47 years later but the electric hub wheel drive invented by Professor Ferdinand Porsche - the future founder of Porsche Company - will be applied in several occasions like for the NASA Lunar Roving Vehicle of the Apollo Missions on the Moon and even today in some electric cars projects. "The epoch-making new development", as a trade publication put it at the time, "involves the complete elimination of all intermediate gear units such as gear wheels, belts, chains, differentials etc. ; in a nutshell: the production of the first car that has ever existed which does not have a transmission." And it is a fact that Porsche's wheel hub motor has neither gears nor drive shafts, because the wheel - as the rotor of the Direct Current (DC) motor - runs around the stator that is firmly attached to the wheel suspension. The drive therefore operates without any mechanical friction losses at the astonishing efficiency level of 83 per cent. 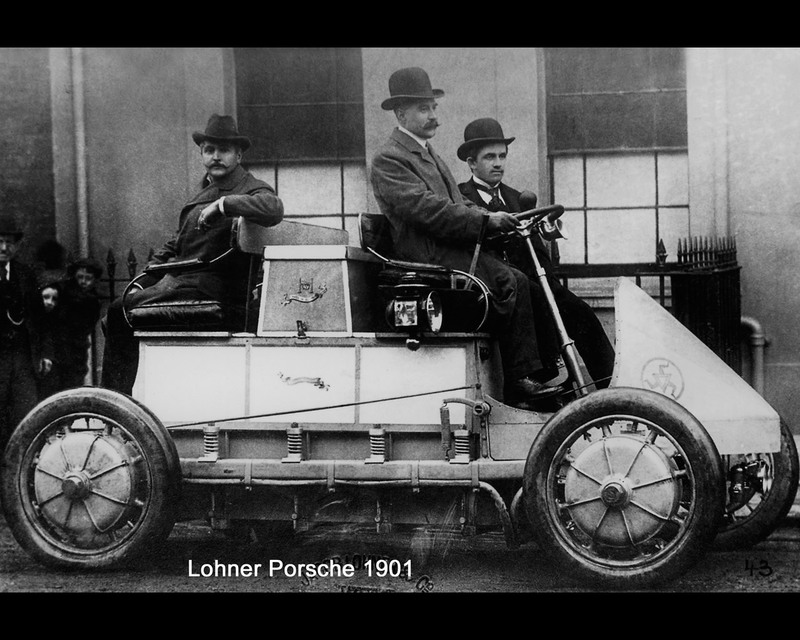 The presentation at the World Exhibition in Paris made Porsche famous overnight and Lohner went on to produce about 300 of these vehicles. Each of the motors in the Lohner-Porsche was able to produce seven horsepower for up to twenty minutes, while the normal capacity was 2,5 horsepower at 120 revolution per minute. A 44-cell rechargeable battery with 300 ampere-hours and 80 volts made it possible for the car to drive up to 50 kilometres. The normal speed was 37 kph and the maximum speed was just under 50 kph. There was an electric front brake, while a mechanical strap brake was fitted at the back. Ratchet mechanisms were also provided on the rear axle to stop the car from rolling backwards on hills. The wheels had wooden spokes and a diameter of 650 millimetres at the front and 950 millimetres at the back. The total weight of one tonne (1.205 kg) was attributable to a large extent to the battery (410 kg) and to the motorized front wheels (110 kg each). 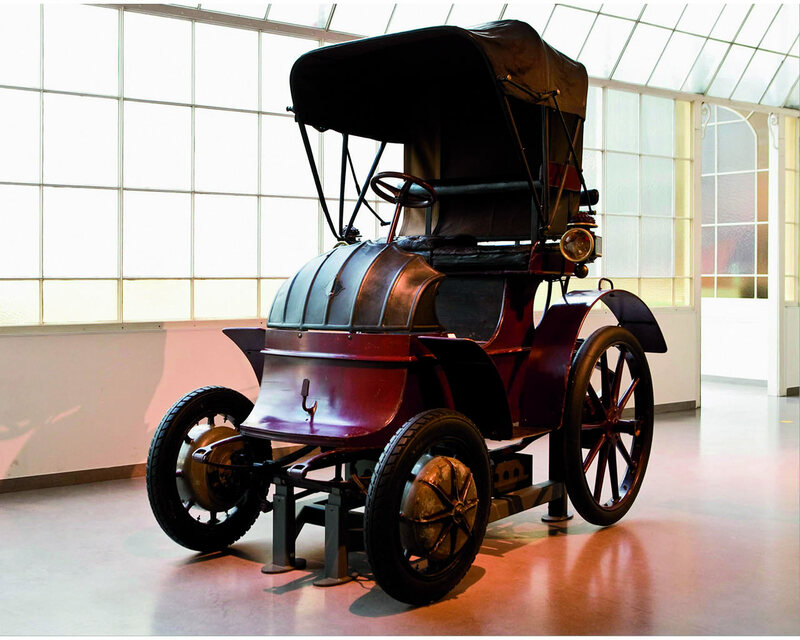 Depending on its design and drive equipment, a Lohner-Porsche cost between 10.000 and 35.000 Austrian crowns in the following years and was therefore considerably more expensive than a comparable vehicle with a combustion engine. The rich and famous were therefore the main customers. The Viennese coffee magnate Julius Meinl, Margrave Sandor Pallavicini, Emil Jellinek-Mercedes (Daimler representative in Nice), the car company Panhard-Levassor in Paris, Prince Egon von Fürstenberg, the chocolate manufacturer and cinema pioneer Ludwig Stollwerck, the banker Baron Nathan Rothschild or Prince Max Egon von Thum und Taxis, for example, all drove a Lohner-Porsche. 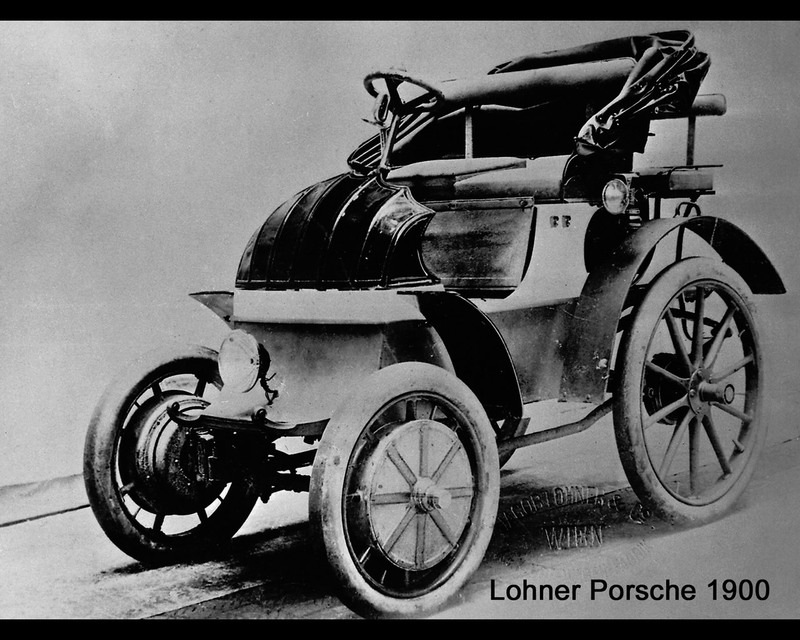 The lohner-Porsche was said to be particularly safe to drive . As the trade press also pointed out, the car "did not skid in sharp corners or on slippery, muddy streets - or at least only a few moments, just like horse-drawn carriages where skidding is extremely brief and rarely unpleasantly noticeable." As of this 2009 year, the Tesla electric roadster sold for over $100.000 is one of the unique proposal with this type of propulsion and like the Lohner-Porsche at the time essentially for the rich and famous customers. Several car manufacturers are working on propositions for electric cars that are announced to surge on the market by 2011 and are a sign that this situation may change.